Posted by plantaliscious on 22 Sep, 2015. 36 comments. 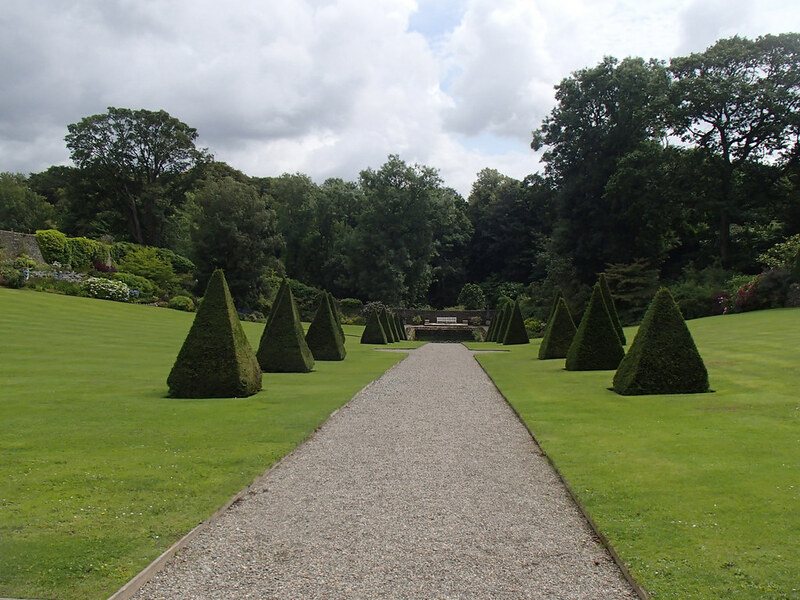 When I began the attempt to recover my gardening mojo, one of the first things I did was visit Plas Cadnant garden. The current owner, Anthony Tavernor, bought the 200 acre estate back in 1996 having fallen in love with the place, despite it being a tangle of weeds, brambles and broken walls. He embarked on an ambitious restoration programme, determined to re-establish the gardens as a must-visit destination for plant lovers and garden enthusiasts. Actually, restoration is the wrong term, as although he is gradually restoring some of the old paths through the river valley, he is also creating new water features, and has no plans to restore the walled garden as a kitchen garden. Instead, it is a riot of colour contrasting with a broad lawn and topiary. Anthony is determined to make the garden self-sustaining, and to ensure that it has a future long past his own tenure. He does most of the gardening himself, with a couple of helpers, and is very friendly and approachable. I fell in love with the whole place, and bought a season ticket. 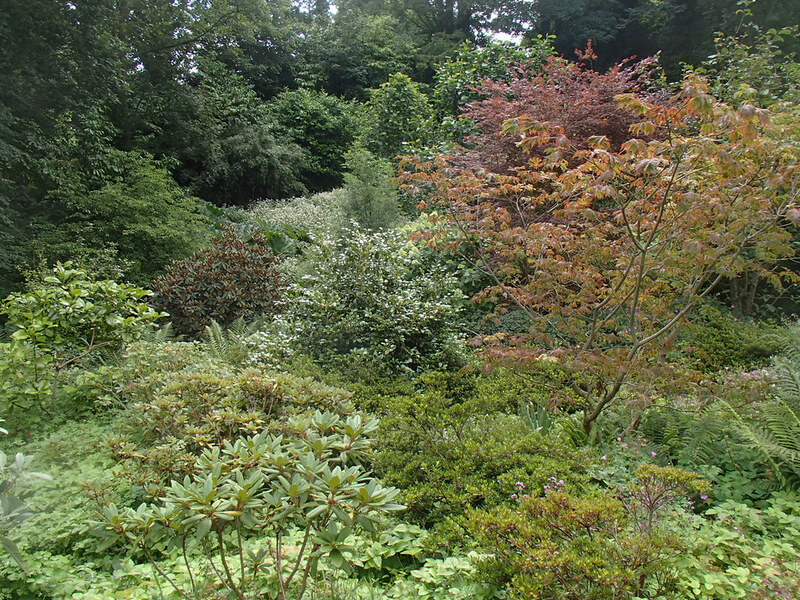 The riot of colour in the borders of the formal area of the garden where a delight and inspiration, but it was the foliage planting I lost my heart to. As you wander down past the formal areas towards the valley bottom it all starts off rather civilised. The further down towards the sound of water you go, the wilder the planting gets. I say wilder, but it is still clearly carefully planned out, and it put a smile on my face that hurt, I held it so long. Everywhere I looked there were delightful constrasts of foliage shape and colour. 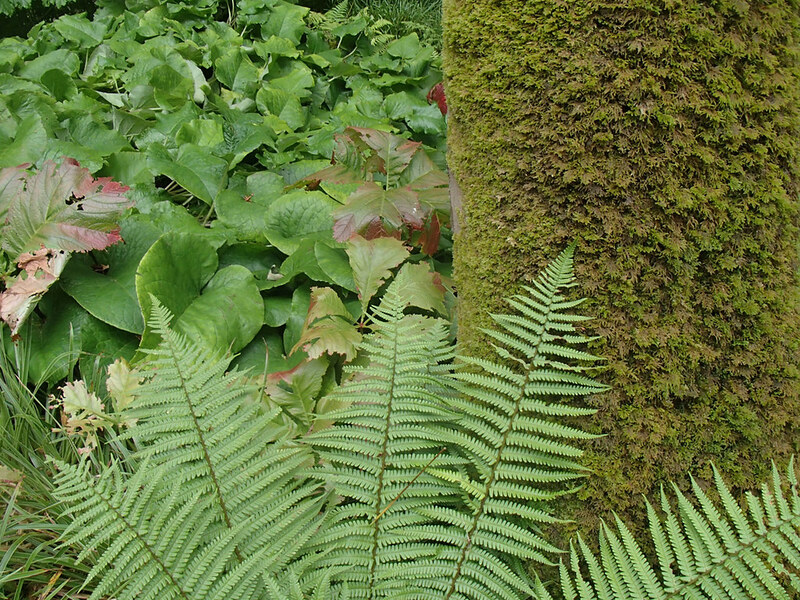 Mossy tree trunks and walls contrasting with ferns and herbaceous plants. I haven’t a clue what most of them are, and this is a damp acidic area, so a lot of them aren’t suitable for my garden anyway. But that didn’t stop me from being inspired. 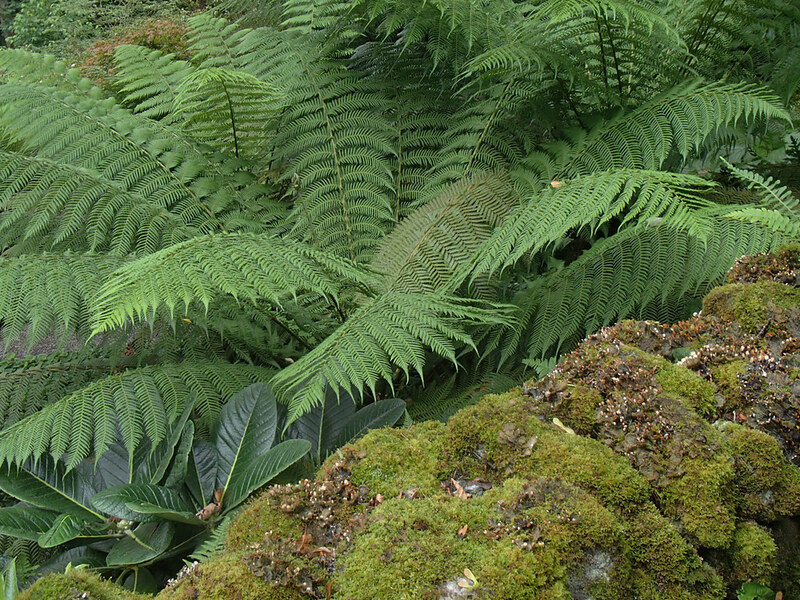 Even if tree ferns are a pipedream. Despite the beautiful little vignettes I was forcibly reminded of how effective blocks and rivers of contrasting foliage are. This is gardening on a huge scale, and on an inhospitable slope. There is lots of water too, trickling, tumbling, reflecting. Once you reach the bottom of the valley you can wind your way towards an even wilder area, where apparently the bluebells and snowdrops are spectacular and you might catch a glimpse of a red squirrel. It was strange to emerge from this green and wild area back in to the more managed space, but here again there was plenty of foliage to delight the eye. I have an area in my front garden, near the house, that has been causing me problems since I first ripped out the sickly rhododendrons that filled it when we arrived here. I had a clear vision for it, that involved blocks of contrasting evergreen foliage livened up by bulbs and aquilegias. 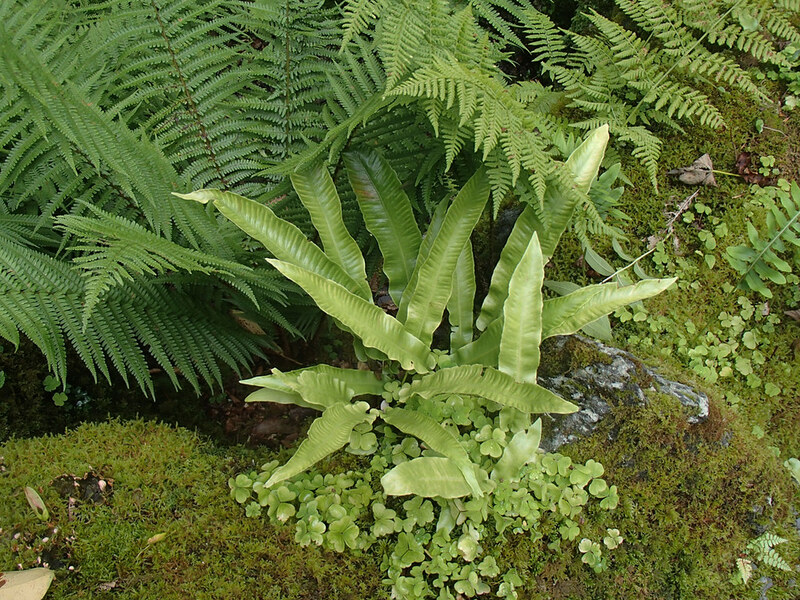 I planted ferns, epimediums and Tellima grandiflora, and sat back waiting to be wowed. The area is north facing, and therefore gets the brunt of the salt-laden winter storms, and lies in the shadow of the house, a rather unforgiving shade really, that only gets brief shafts of sunlight from October through to February. I thought the epimediums had all died, but I did recover two of the three, and have re-planted them elsewhere in the hope that they will settle in happily. The very back of the area is less hostile, and forget-me-nots and Stipa tenuissima self seed with gay abandon, so although I want to improve it, I can live with it for now. Elsewhere, the Tellima has survived as has the Polystichum tsussimense, but since I pulled out the foxgloves (for some reason they just look wrong here) I have bare patches to fill. Further round, where there is more sun, I have widened the bed. More forget-me-nots are self-seeding, and I have moved an Alchemilla mollis and planted a cutting from Stachys aethiopica ‘Danielle’, but there are still gaps. I want to add at least one Carex testacea, the bronze-tinged foliage picks out the colour of the flowers on the Euphorbia mellifera and the new leaves of the Amelanchier perfectly, something I have tried and failed to capture on camera. 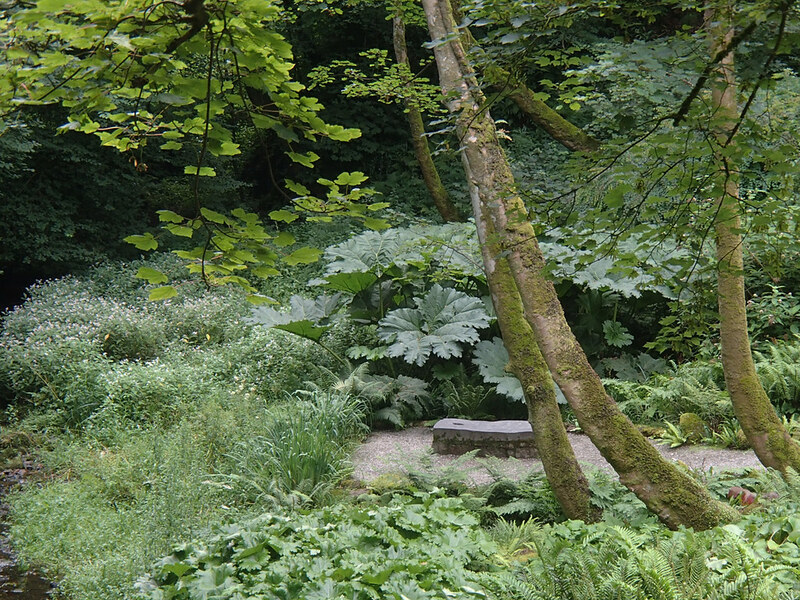 Inspired by Plas Cadnant, I want to have another go at blocks of contrasting foliage. My thinking cap is on. I want to give epimediums another go, and perhaps Luzula nivei. I adore Asarum europeum, which grows wild in the verges closer to the Menai Straits. I fear it needs a more acidic soil than I can offer though. But I am determined to try again. I am joining Christina for her celebration of foliage, so if you haven’t already, I recommend you pop over there and check out other posts on all things leafy. I’ve got to get to this place haven’t I.. it’s stunning. 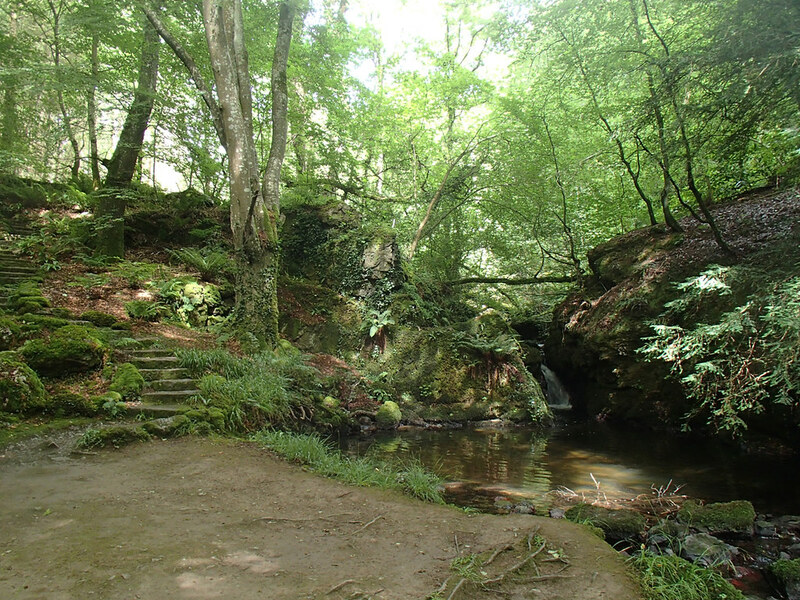 I love the steps down through the woodland to the water. Oh to have the budget and the manpower to do something like that. What an inspirational garden. I am very aware that since I moved to Italy more and more gardens are being opening in the UK to visit, many, many of them fantastic, thanks for sharing this one, certainly the best inspiration for how important foliage is in a garden. 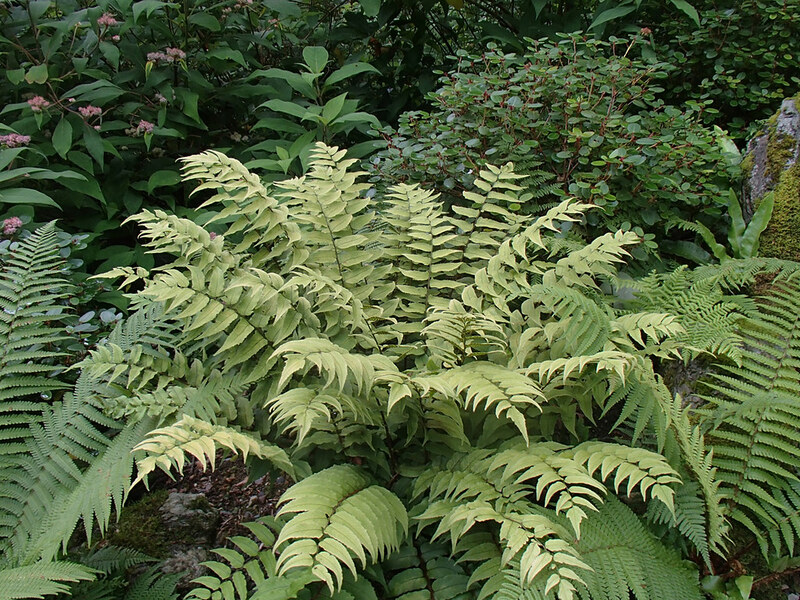 I’m not sure how big your space is but why not try planting with just one or two species to fill the area and really make an impact or one large specimen (fern perhaps) plus lots of one other smaller plant. thanks for joining GBFD this month. Hi Christina, I am very tempted by the one or two species approach, I have to juggle a lot of competing demands for what is currently a small pot of plant money, but re-working the whole area (measuring around 2m by 1m or 2m depending where I decide to stop) and making it all about the foliage has a lot of attraction right now. Lots to think about! Thank you Flighty, glad you enjoyed the virtual tour! Talk about a success story, the use of foliage is truly inspiring. Isn’t it wonderful? The man has a wonderful eye. Hi Janet. That garden really is stunning and I think I would have fallen for it too. I hope you’ll share more pictures as you make use of your season ticket! Sometimes it is wonderful to just enjoy a garden without thinking about whether the plants would grow for you, but this does look inspirational nonetheless. Hi Cathy, I doubt I will be able to resist posting more about this place, I love it so much! Wow, that foliage garden is really impressive! I would love to see that someday. Sometimes amazing foliage combinations happen in my garden by accident. It seems the ones I plan never live up to my expectations. ;-) Thanks for sharing highlights from this beautiful place! Hello Beth, I know what you mean about happy accidents! It is a beautiful garden, I’m glad I live so close to it. Fascinating and interesting garden. I love how effectively this garden uses foliage to create contrast and connect you with interesting patterns. Exactly Charlie, the patterns and textures are wonderful, you just don’t miss the flowers. Hi Frances, you are absolutely right of course, my problem corner is just that, a problem area for a lot of plants that are very happy growing elsewhere, thanks to the salt-laden winds and the deep shade. There are gardens that produce that fixed grin, aren’t there? Certainly looks lovely and one to visit if we head back in that direction in the future. Meanwhile, it is a frustrating experience for you working out what will grow in your problem corner. If you want any Luzula nivea let me know. You’d love it Cathy, and the ornamental borders aren’t bad either. Thanks so much for the offer of the Luzula nivea, at the moment I am thinking of going for the Carex muskingumensis, as the branching habit will be a great foil for the epimediums and tellima. Well I love this garden…wouldn’t it be great to have a resident gardener and workers to help get our gardens restored and maintained. Hi Donna, isn’t it wonderful? And yes, sort of, except that I love the hands-on thing, and I think I would have to get on very, very well with any gardener who helped me. TNG is a great help, but I could never just sit back and utter instructions. Mind you, the owner of Plas Cadnant is passionately hands on, and I am sure values the help he does have. 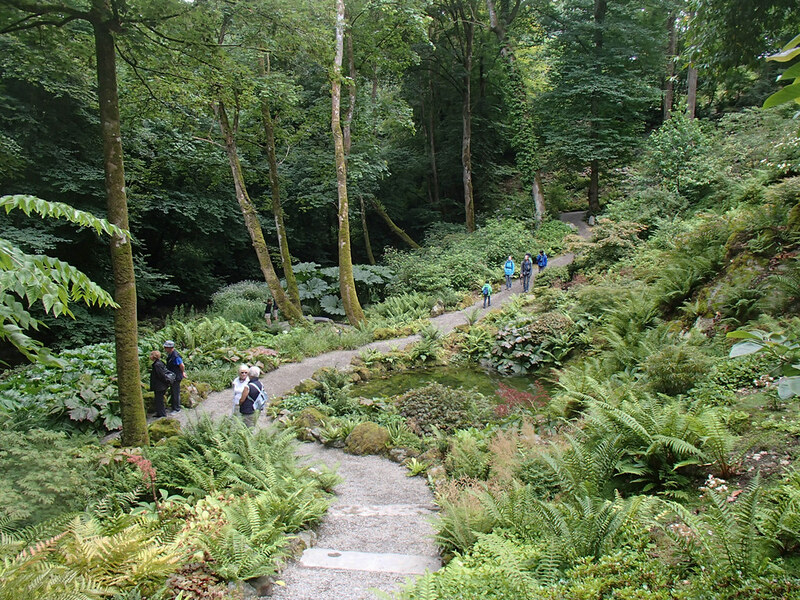 What a stunning place – I have a particular thing for mossy green woodlands and architectural plants – neither of which I can successfully achieve in my urban space. Your idea of planting shrubs as a windbreak is a good one – Hebe and Griselinia would be good if that fits in with your planting scheme, both a hardy and resistant to salt spray. 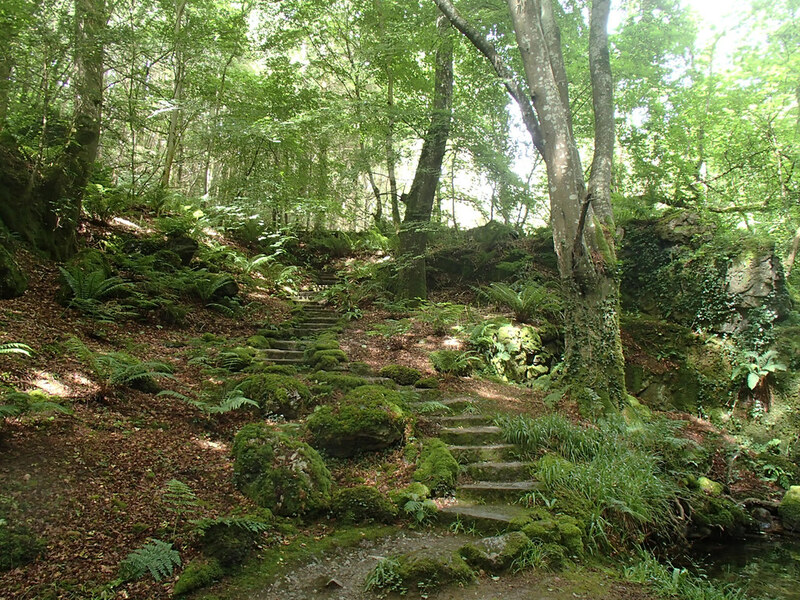 Hello Caro, mossy green woodland has its own particular magic, doesn’t it, whether wild or expertly tamed. Re shrubs for shelter, I think griselinia would be too much of a thug in that particular spot, though I use it in the back garden and really like the bright green of the foliage. 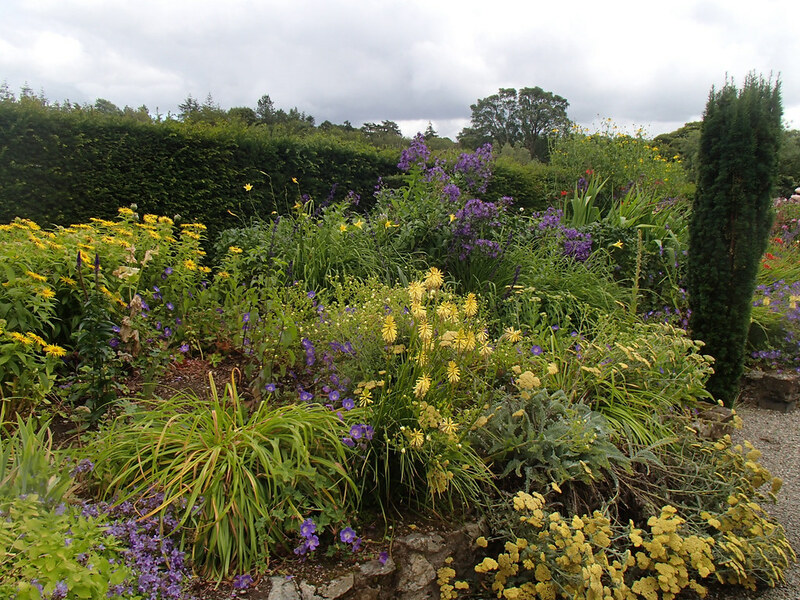 I have toyed with the idea of a hebe, in particular, Hebe parviflora angustifolia, but it is hard to get hold of, and the down side would be that it would also block off the view of another section of the border from the house, so I am a bit reluctant. I think I will try with larger blocks of the plants that have shown they can and will survive there first, and take it from there. 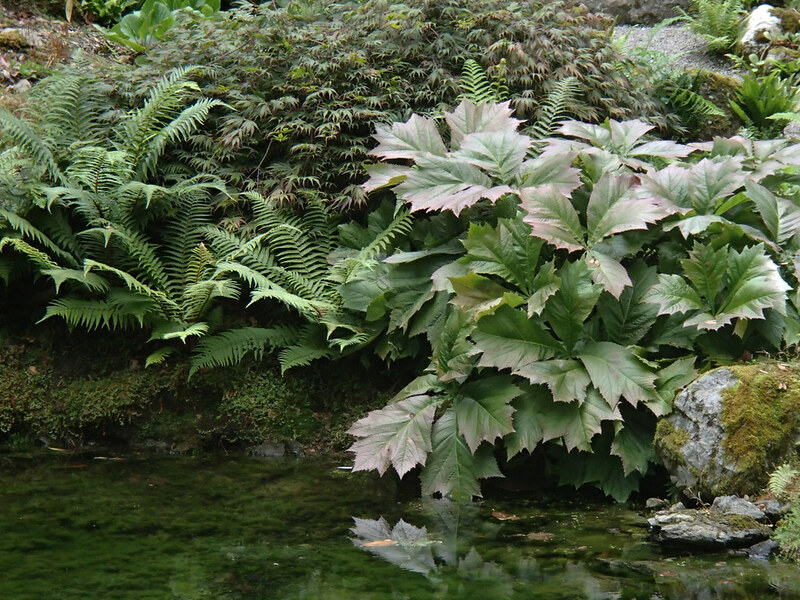 Sorry Dave, can’t help you with your gunnera woes, sorry to hear they are embarrassing you, how rude.These did have the benefit of being planted right next to a river, so they were clearly very well watered and loving it, in that thuggish prehistoric sort of way that gunnera have. I agree about the peaceful + calm + interesting, I never miss the flowers, though I am looking forward to seeing the snowdrops and then the bluebells next year. Glad you enjoyed the virtual visit! It really does look like a magical place to visit. 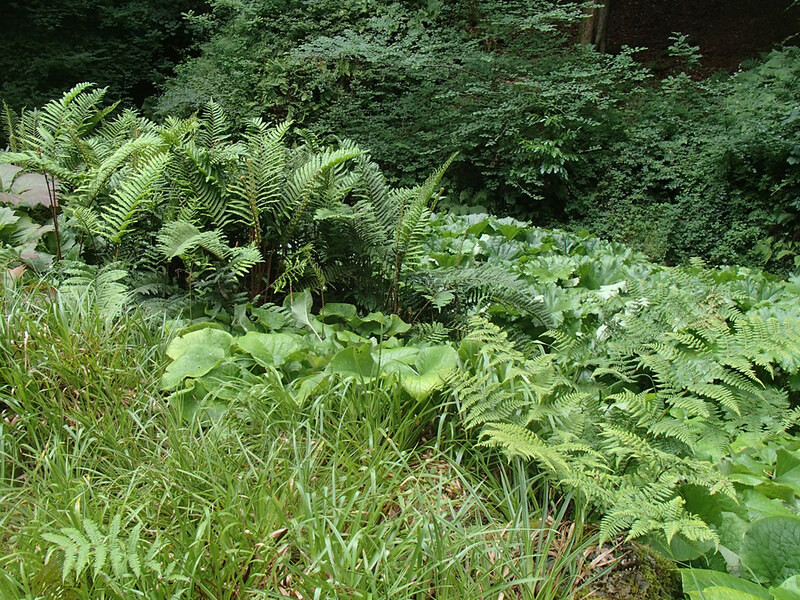 I loved the ferns next to the Rodgersia. A wonderful garden. I just love the use of foliage, really inspiring. I had never heard of Plas Cadnant; thank you for giving me a look at this inspirational garden, as it is definitely one after my own heart. My own epimediums are flourishing in my woodland garden, but it took them a few years to catch hold. At first I thought they had perished, but to my surprise they came back and really took off. I liked them so well I purchased a third variety this year. Typically, it looks pitiful, but I am hoping it will behave as its predecessors have. Hi Deb, it really is one of those places you just fall in love with, and yes, I can see that it would be right up your street! Thank you for the info on your epimediums, I have a Cunning Plan to shelter them somewhat with a carex and some hellebores. What a fantastic garden, Janet. Loads of inspiration here for the shady side of my front garden.